For in-line speed and precision, the Tronics Series 3 label applicators from Weber can't be beat. 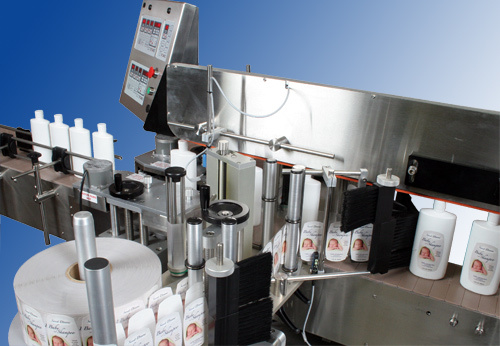 Whether you use it for a wrap-around label on a sauce bottle or a front and back combination on a shampoo bottle, the Tronics can reliably handle your product line labeling needs. 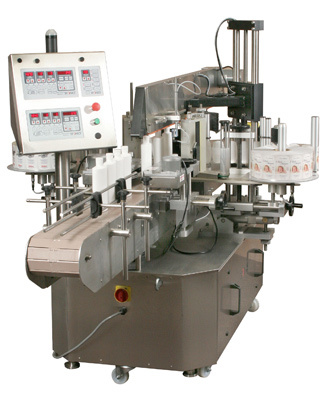 The Tronics Series 3 label applicators address a wide variety of pressure-sensitive labeling applications from simple wrap-around labeling to front-and-back container labeling with outstanding accuracy. And it's all built into one labeling system. The Series 3 is available in standard-, medium- and high-speed models. The systems apply front, back, wrap-around, top and bottom labels for the broad range of packaging markets – and for an even wider range of products and packages. These ruggedly constructed, dependable systems can be configured to handle a diverse selection of package shapes and sizes. And the Series 3 can dispense and apply pressure-sensitive labels from .5 inch high and long to a full 10 inches high and 39 inches long. An Open-Frame version is available that applies front, back, bottom and wrap-around labels to a wide variety of flat-sided, straight-walled products and packages. And this easy-to-adapt unit can be ordered in standard-, medium- and high-speed configurations. 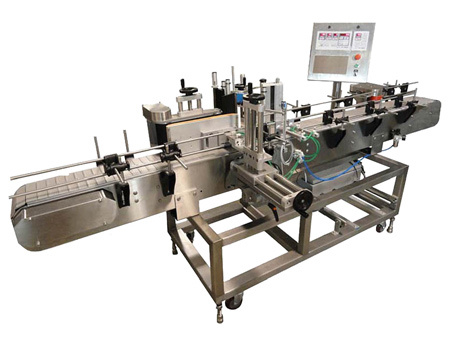 All Series 3 label applicators are equipped with a standard 4.5-inch wide (wider widths available), 10-foot long heavy-duty conveyor and labeling heads that will accommodate up to a 9-inch wide label web (kits for larger labels are optional). The Series 3 handles small labels and large, in varying shapes, and applies them to virtually anywhere on a product or package. • Label materials – standard pressure-sensitive paper, clear, Mylar, foil and more. Series 3 labeling systems are extremely user-friendly and easy to adjust when changing products and/or labels. Conveyor rails plus modules like labeling head(s), wrap-around belt, backing pad, overhead product hold-down and aligning chains all have tool-less adjustments, in addition to quick-reference rulers beveled into the shafts. These design functions provide reference points that ease system operation. In addition, the Series 3 features simple electronics and touch-pad controls that provide a number of unique advantages. 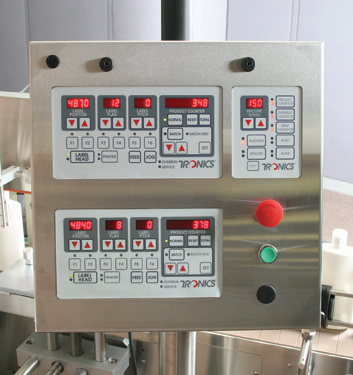 Tronics Series 3 labeling systems from Weber also include an array of miscellaneous features, including batch counting, real-time products-per-minute display, total products labeled, additional inputs and outputs for missing/low label and for integration with PLCs on other packaging and handling equipment.